This is book nine I the wonderful ‘Playful Brides’ series, and this is just as good as the previous books have been. I do love this series! Agent of the crown and master spy; Mark Grimaldi (or Grim, to his agent’s) want’s promotion, he is after a prestigious role within the Home Office but if he want’s to be even thought of for this particular promotion there is a condition; he must be a family man. What people don’t know though is that Marc is already married and has been for the last ten years, but his marriage is a complicated matter one that he has refused to think about. But now, he needs his estranged wife if he to be in for a chance of this elusive promotion. Ten years earlier Nicole Huntington Grimaldi after a misunderstanding she left her husband, Mark and left England to live in France, where she has been living a simple and peaceful life, that is until the very man she ran away from turns up with a favour to ask. She is shocked to see him back again after all these years, yes deep down she loves him but that doesn’t mean she is going to let him scot-free. She has one condition, one thing that she wants in return. I instantly liked these two, they are both lost and lonely souls that need a little love in their lives, they are terrible at actually talking to one another and because of that, it ended up with misunderstanding on both sides and them living apart for ten years, basically pretending that the other existed. The only problem with that is that they both genuinely care for each other, they are a lot of love between these two no matter how much they like to pretend differently. I really like Mark, even though he is from a Ducal family he has got to where he is from hard graft, he is a self-made man and I hugely like and respect him for that. Mark isn’t at all what you would call a rogue, I don’t think he is! He is seductive, charming, hardworking and immensely intelligent but he isn’t a womaniser, I love that even though he has sacrificed everything for his career the only woman he has ever really loved deep down has always been Nicole. Once back in London and acting the loving married couple, something happens that will drive them even closer. This is one of the many twists to the plot and it takes what was already fantastic second chance romance to an, whole new level, it takes hold you and you are gripped throughout until the grand finale. I loved this book! The second chances trope has been one I haven’t read very much of and it is a refreshing take on an adorable love story. A Duke Like No Other is a fun, romantic and thrilling read that keep’s you attached and engaged to the plot and the character’s. As ever with Bowman the writing is fast paced and flawless, her creative imagination just bursts to life and takes you on a wonderful and enticing journey. It is a brilliant addition to this series and I can’t wait to see what comes next. A Duke Like No Other is available now and can be purchased at amazon. This was an ARC copy via the publisher in exchange for an honest review. 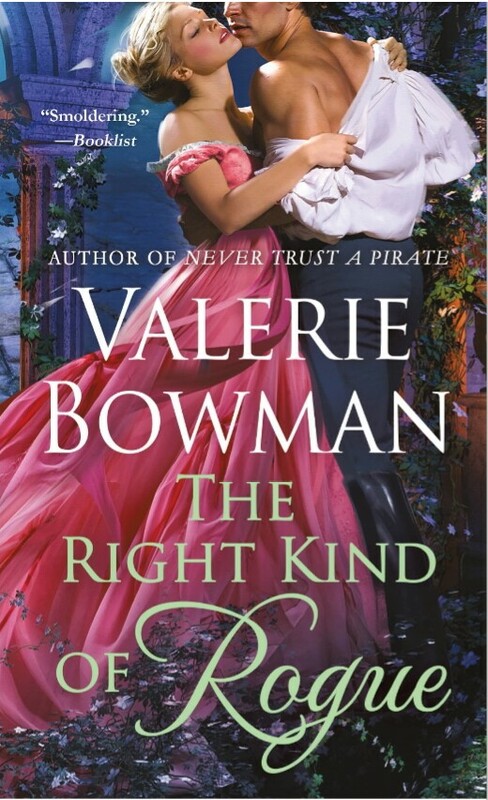 Valerie Bowman grew up in Illinois with six sisters (she’s number seven) and a huge supply of historical romance novels. After a cold and snowy stint earning a degree in English with a minor in history at Smith College, she moved to Florida the first chance she got. Valerie now lives in Jacksonville with her family including her mini-schnauzer, Huckleberry. When she’s not writing, she keeps busy reading, traveling, or vacillating between watching crazy reality TV and PBS. She is the author of the Secret Brides and Playful Brides series. *Excerpt, promotional banners & pictures were all provided by the publisher & author to be used in accordance with the ‘A Duke Like No Other’ blog tour. 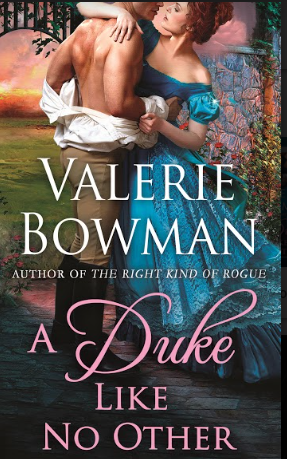 This entry was posted in ARC, Blog Tour, Historical Romance, Reviews, St Martin's Press and tagged A Duke Like No Other, ARC, Blog Tour, Playful Bride Series, Review, St Martin's Press, Valerie Bowman. As aways with Bowman’s Playful Bride series, this is another satisfying and highly charged Romance, Bowman’s charm ng wit con s through and her writing is strong, highly addictive and intelligently done. She makes you genuinely care and fall head over heals in love with the characters, The Right Kind of Rogue is fun and exhilarating and so romantic. Hart has come to the point in his life where he cannot go on with his rakish ways he needs to put aside all his youthful fun and high jinx to settle down and find himself a Bride. But being an heir to a powerful earldom no ordinary Bride will do, he knows that he should marry well in other words he should marry money and that all very well and good but all the young ladies that Hart is introduced to are simpering fools he wants a woman who can match his own fiery intelligence and wit. But what he doesn’t know is that the very woman he needs in his life is right under his nose. Meg ha lived Hart forever he has idolised him for being a young child but being from the family who is basically the enemy she knows that she will never catch his attentions. Their family feud has been going on for too long for some to even remember what it’s about and as she hasn’t the dowry his family want in fact she hasn’t a thing she can call her own and she saddened that year after year she is being pushed aside. She is a total sweetheart who just wants to find someone who will love her the way she can love them or in other words the way she loved s Hart. But then something happens that could make both their dreams come true, they unwittingly share a moment of passion he doesn’t know its young Meg but he is drawn to her seduction innocence and wants to know more about his seductress even if he thinks she is someone else. Meg cannot believe her luck that she has final got her dream even if it is for a few short minutes and now she has tasted what it could be like with Hart she wants more, can she get her wish? I thoroughly enjoyed this, it’s so charming the plot is fast and playful and at time makes you catch your breath. Our two leads are a resounding success but at times I did feel that they needed to have their heads gang d together her, don’t they see that they are made for each other? Bowman has done it again, I have really come to live this series and I cannot recommend it enough. This was an ARC copy via the publisher as apart of the blog tour in exchange for an honest. I’m online at http://www.ValerieBowmanBooks.com. I’m also on Facebook at https://www.facebook.com/ValerieBowmanAuthor and on Twitter at @ValerieGBowman. I also have a Pinterest page with pictures of the Playful Brides characters. Out of all your work, who is your favourite character and why? Where does your inspiration for your books come from? What three tips would you pass on to an aspiring author? I’d invite Lorelei Gilmore, Jane Austen, and Oprah. Valerie grew up in Illinois with six sisters (she’s number seven) and a huge supply of historical romance novels. After a cold and snowy stint earning a degree in English with a minor in history at Smith College, she moved to Florida the first chance she got. Valerie now lives in Jacksonville with her family including her mini-schnauzer, Huckleberry. When she’s not writing, she keeps busy reading, traveling, or vacillating between watching crazy reality TV and PBS. She is the author of the Secret Brides and Playful Brides series. This entry was posted in ARC, Blog Tour, Historical Romance, Reviews, St Martin's Press and tagged Author Interview, Blog Tour, Exclusive Excerpt, Historical Romance, Review, St Martin's Press, Valerie Bowman.